Drawing on interviews, official records, private archives, and his own family history, Jason M. Colby tells the exhilarating and often heartbreaking story of how people came to love the ocean’s greatest predator. Historically reviled as dangerous pests, killer whales were dying by the hundreds, even thousands, by the 1950s–the victims of whalers, fishermen, and even the US military. In the Pacific Northwest, fishermen shot them, scientists harpooned them, and the Canadian government mounted a machine gun to eliminate them. But that all changed in 1965, when Seattle entrepreneur Ted Griffin became the first person to swim and perform with a captive killer whale. The show proved wildly popular, and he began capturing and selling others, including Sea World’s first Shamu. Over the following decade, live display transformed views of Orcinus orca. The public embraced killer whales as charismatic and friendly, while scientists enjoyed their first access to live orcas. In the Pacific Northwest, these captive encounters reshaped regional values and helped drive environmental activism, including Greenpeace’s anti-whaling campaigns. Yet even as Northwesterners taught the world to love whales, they came to oppose their captivity and to fight for the freedom of a marine predator that had become a regional icon. Orca is the definitive history of how the feared and despised “killer” became the beloved “orca”–and what that has meant for our relationship with the ocean and its creatures. Orca: How We Came To Know and Love the Ocean’s Greatest Predator is an incredible book. It seemingly borders the divide between research tome and story, drawing upon well-written narrative to convey a thorough recall of the history of the interactions between humans and orca. Like many, I have watched the documentary Blackfish. Like many others, I have been long enthralled with the awesome power and grace of the Orcinus Orca, starting from my childhood love of whales and dolphins. I have seen students complete assignments on the now-popular aforementioned documentary, but wondered what parts of the story might have been missing, what other truths there are to be revealed about the history of humans and orcas. It was with great pleasure that I discovered Orca. Not only could I satisfy my own curiosity, but I could add to our library’s collection and our students’ research a source that provides a thorough investigation of this history, and one that considers all sides of the story. Ok, so you’re company’s team has finally agreed to build a new website, but all you know is what you knew when you built the last one, and it failed miserably. Nobody in the company wants to go down that same road again, but at the same time, nobody knows how to do it any different than the last time. Just like so many other things in life, doing it right doesn’t take much more time than doing it wrong. It just takes the knowledge of how to do it right the first time. In the case of building a website, it takes the knowledge of many others to get optimal results from your website, and this book brings them all together in one concise place for your reference. I have seen many people/companies make mistakes in the creation of their website. Their mistakes have led to Google penalties that they never recovered from. Simple preparations and settings discussed in the book ensure that you don’t make those same mistakes. Each new website has different scenarios, and those particulars are discussed so you can customize your installation to show you how to avoid making critical, and possibly crippling or complete show-stopping mistakes that can set you back for months or years. This book crossed my path at the exact time that I needed it. I have been using WordPress for a number of years on a free blogging basis, but have recently been asked to coordinate, design and build an externally hosted WordPress-based website for an advocacy group. Everyday I was learning something new and finding that I had endless questions that needed to be answered. WordPress Websites for Business was the ideal solution to those questions. There is something about a book that seems more trustworthy than a variety of random website sources (I guess I am a traditional librarian at heart). However, WordPress Websites for Business has an informal, website feel to it. Short chapters and an informal, personal writing style contribute to this feeling. The author frequently references his own experiences and his qualifications for writing such a book and links to examples. The first section of this book briefly outlines the book’s purpose, intended audience, and the author’s experience. The next section then outlines a short history of the internet, giving context to some of the techniques and technology used, CSS for example. The remainder of the book is then split into a range of sections which vary from SEO optimisation and security, to plugins and child themes. The chapter headings themselves are quite helpful, “Wordpress.com vs. WordPress.org – Always Pick the Latter for Business”, for example. Topics include: establishing “makerspaces” and “learning commons” to support student-centered learning; developing a schoolwide focus on literacy across multiple formats and devices; redesigning lesson plans that foster inquiry and critical thinking across classrooms and grade levels; supporting collaboration between teachers and librarians in instruction and assessment; and using the library to strengthen ties between school, family, and community. As a librarian I am always eager to learn more about the amazing profession I find myself in, how school libraries are changing, and how this should reflect practice. I also love learning about what other school libraries are doing. School Libraries and Student Learning by Rebecca J Morris is a wonderful resource for school librarians and school leaders. It covers a huge range of topics, from the fundamental principles of libraries and librarians, to specialised spaces within the library or learning commons, as well as guides, checklists, and real-life school examples. School Libraries and Student Learning is written for school leaders. It seeks to highlight the importance of school libraries, school librarians and the way in which these are both integral to an integrated school learning system. There are eight chapters, as well as a school library checklist appendix. 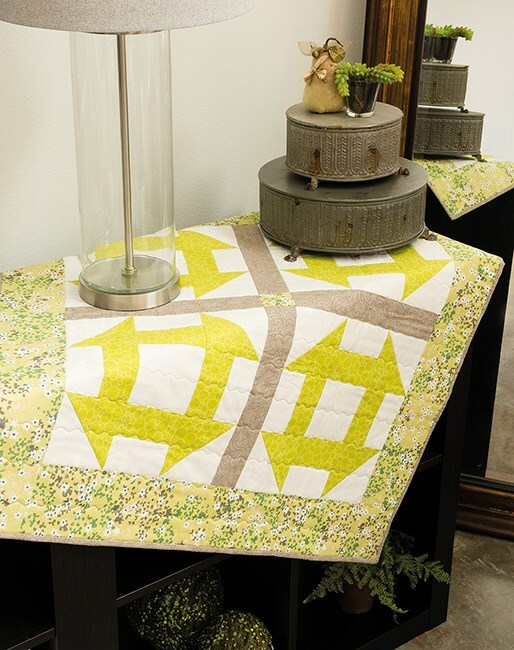 Expert teacher and quilt designer Pat Sloan guides you through each and every step as you make your first quilt. Pat’s easy-to-follow instructions and more than 140 clear how-to photos make it fun to start, stitch, and finish nine classic blocks and nine simple quilt projects–even if you’re an absolute beginner. Learn the basics, from selecting notions and cutting fabric to machine sewing to quilting and binding, all from a skilled instructor with a warm, patient teaching style. I have always wanted to create a quilt, but I’ve never been brave enough. No one in my family is a quilter. There is something so beautiful, colourful, intricate, and homely about patchwork quilts that have captured my attention and I have always desired to take that first (scary) leap and start one. For these reasons, Pat Sloan’s Teach Me To Make My First Quilt intrigued me. This is the ideal book for people, such as myself, who want to sew their own quilt but aren’t sure where to start. It covers everything from tools, fabric choice, and tips and hints that you might not have thought of before. The book is divided into three main sections. 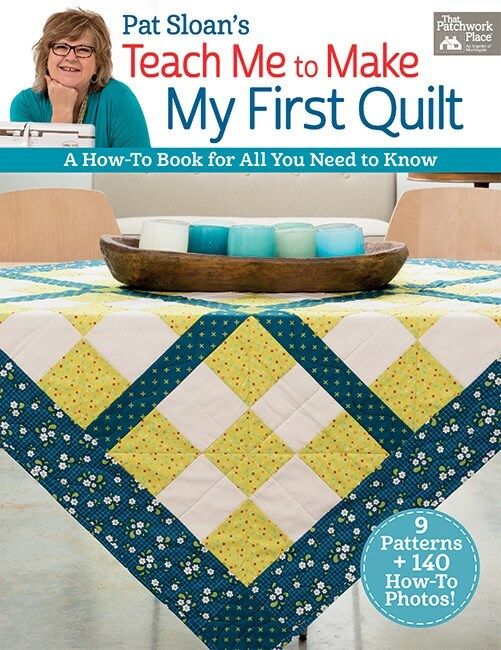 The first is an information guide on everything you need to know about basic quilting. Included in this first section is a short introduction, information about updating your sewing machine for quilting, tools you’ll need, how to change a rotary-cutter blade, common quilting terms and how to read a pattern. There is also information about fabric, different types and how to best measure and cut your fabric, followed by general sewing techniques for quilting. A chapter on appliqué is followed by chapters on assembling and finishing your quilt. 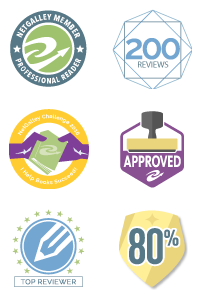 There has truly never been a better time to be an author. For the first time, authors have direct access to the public via the Internet and can create a community eagerly awaiting their book. But where do new authors start? How do they sort through the dizzying range of online options? Where should they spend their time online and what should they be doing? 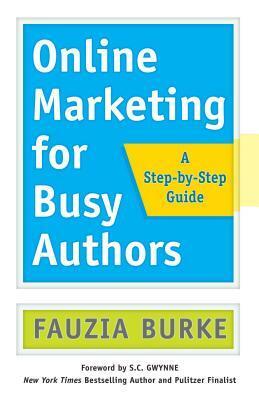 Enter Fauzia Burke, a digital book marketing pioneer and friend of overwhelmed writers everywhere. She takes authors step-by-step through the process of identifying their unique personal brand, defining their audience, clarifying their aspirations and goals, and setting priorities. She offers advice on designing a successful website, building a mailing list of superfans, blogging, creating an engagement strategy for social media, and more. By following Burke’s expert advice, authors can conquer the Internet and still get their next manuscript in on time. Ella Leché, the voice behind the popular food blog Pure Ella, used to consider herself a healthful eater. She ate salads; she drank water. But like so many of us, she also looked forward to her daily sweet treats. It wasn’t until her health fell apart due to a rare illness that she began to make the food-health connection. 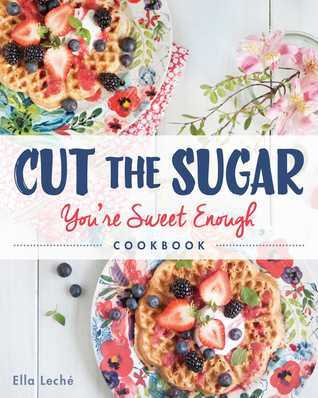 A bright and summery cookbook, Cut the Sugar, You’re Sweet Enough offers beautiful pictures and diverse recipes. Cut the Sugar does not set out to promote removing sugar completely from your life. Instead it helps readers find sugar alternatives, creating sweet food that is nutritious and replacing the bad sugary things with healthy and enjoyable sweets. I have watched the quit-sugar craze arrive and seen how colleagues and friends have cut sugar completely from their diets. Many have stuck with it, others succumb to cravings, while others simply can’t manage the restrictions a sugar-free diet imposes. I, on the hand, have continued to eat my regular, balanced, mainly healthy but defiantly not sugar-free diet. I haven’t read the quit sugar books that sit on our library shelf nor have I watched any sugar-is-killing-us documentaries. I would rather enjoy my sweets in naive bliss. But when I heard about this book, a book about reducing sugar but still enjoying the sweet side of life, I was very intrigued. I was not disappointed. While Ella Leche’s level of diet restriction is well out of my range of dedication, it does offer some practical tips for reducing bad sugar intake and replacing it with healthy and nutritious sugar intake. Owner Claire Ptak uses her Californian sensibility to devise recipes that are both nourishing and indulgent. With real thought about taste and using the purest ingredients, she has created the most flavoursome iterations of classic cakes, as well as new treats for modern palates. 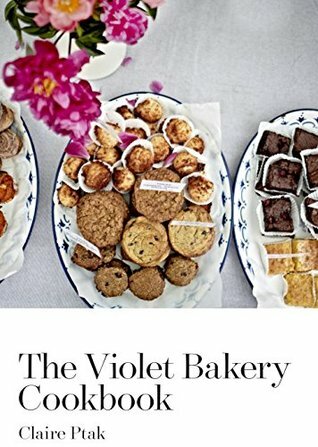 Over 100 recipes include nourishing breakfasts, midday snacks,teatime treats, puddings to share, pantry preserves, and stylish celebration cakes. I found this to be an interesting cookbook. It felt like a mix between healthy and indulgent, artistic and homey and basic. The recipes are divided into morning, midday, afternoon, evening and party. Each section is then divided again into subgroups, such as cookies and bars, tea and loaf cakes and tart in the afternoon section. Most of the recipes are sweets or baked goods, but there are also a nice collection of quiches in the midday section. Whether you are a bride on a budget, a mom baking for a birthday, a cook who needs to control added ingredients, or just want to celebrate a special event with a fresh, delicious cake, this book has something for you. Author and pastry chef Erin Gardner is famous for her unique designs and cake decorating skill. In these pages, she demonstrates professional techniques for creating beautiful, custom-made cakes that are also completely delicious. 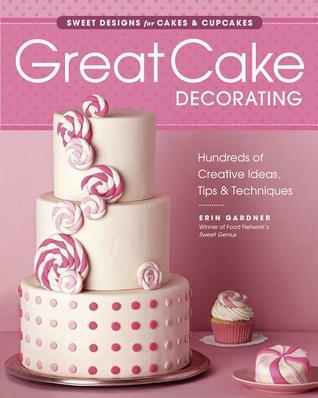 From how to make mouthwatering, homemade buttercream to molding gorgeous fondant flowers and bows, Erin’s detailed, step-by-step instructions offer home cooks all the decorating know-how they need. She also presents a host of secrets and shortcuts for dressing up plain cakes in absolutely no time—try her fruit Rollup trick for pretty cake flowers that can be made in a flash. Throughout the book, Erin shows time-pressed cooks how to improve upon well-known cake decorating techniques. I love cake decorating books. There is something so wonderful about their vibrant pictures and, I’ve found, solid basic cake recipes. This book has all that and more. A baking cookbook from the young and talented Ruby Tandoh, with a focus on charming, flavorful, and practical dishes that celebrate the pleasure of casual baking. Crumb’s explanatory and evocative prose promotes everyday baking without sacrificing the joy of the craft, defying the style of both showy, highly decorated baking as well as the dry, informative tone of “serious” baking books. A delight to read as well as to bake from, recipes like Sweet Potato Doughnuts, Pecan and Rosemary Tartlets, Raspberry Whisky Pavlova, and Blood Orange Polenta Cake are interspersed with the virtues of different types of apples, a reminiscence about Belgian buns, and a passage on the need to knead. Covering a range of baking projects from sweet to savory, chapters include cakes, cookies, bread, pastries, pies, tarts, and more. Bread is one of the oldest prepared foods and one of immense social and political significance. In Britain we eat about 8 million loaves a day, most of it shop bought. But more people are now making their own bread. In this book all the techniques, ingredients, and science of bread making are explained, in addition to a range of recipes, including some from the National Trust. The recipes include the basics such as Wholemeal, Granary, Rye, Corn, and Farmhouse bread, but there are also many regional specialties, such as Barmbrack, Bara Brith, English Muffins, Crumpets, Pikelets, Beer Bread, Welsh Cakes, and Bath Buns. 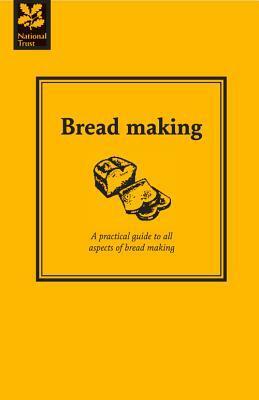 This attractive little book contains everything you need to inspire you to start making your own bread. Bread Making is the perfect resource for everyone from bread-making beginners to advanced bread makers looking to expand their bread recipes repertoire.